I gave my lovely bright Scrappy Trip Around the World away to the flood victims of Queensland collection several months ago so decided to work on another one, this time in Reproduction Scraps.12 Blocks so far look good together, I might try making a few more blocks with some lighter fabrics in them. I have had my Civil War Blocks out today. It have made 21 so far. 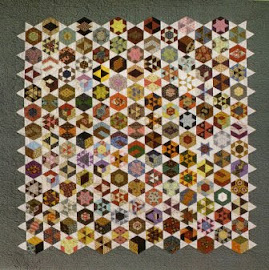 Barbara Brackman on her blog 'Civil War Quilts' released a pattern every week in 2011 and I started sewing these with a group of friends back in Adelaide. After moving last year I have not even looked at them. 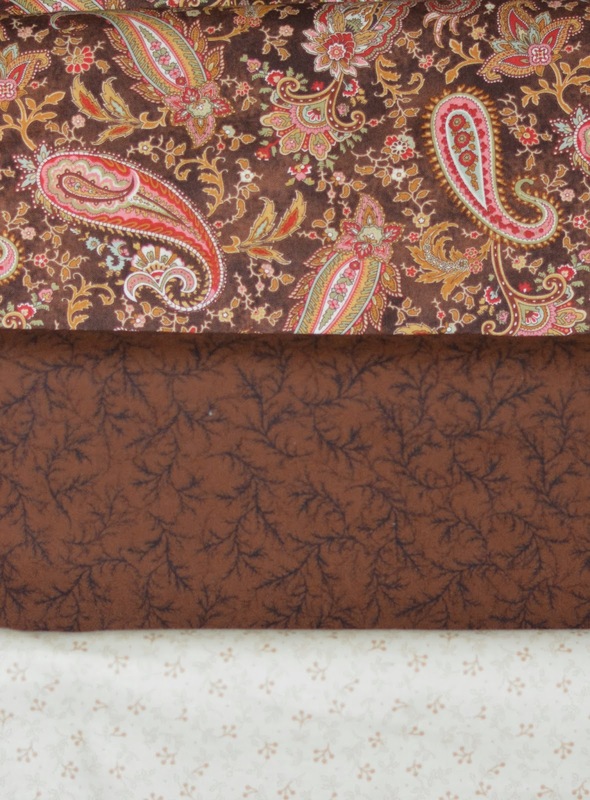 I chose use some beautiful fabrics from my pink and chocolate stash, there are some of my favorite fabrics in there! 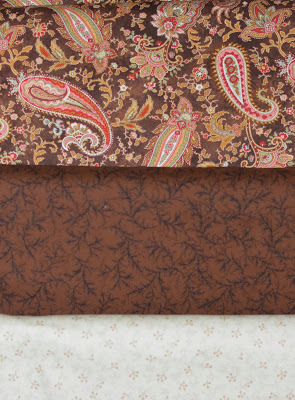 I have my thinking cap on trying to come up with another Mystery Quilt, something a little bit different.... I think I have some interesting idea's that will blend together well. Unfortunately I can't show you or the Mystery will be solved! Just thought I'd show you the last two Mysteries I put together. 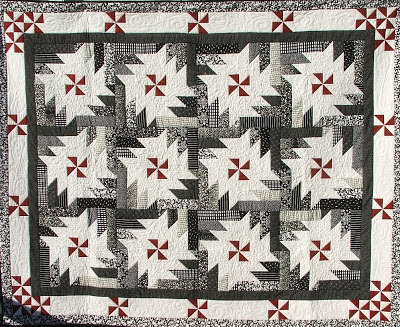 These classes were fun and some beautiful quilts were created by the lovely ladies who participated! We are announcing the date early and giving everyone plenty of time to get the day off work and join us for a day of sewing! May 3rd Wendy and I have booked the Lutheran Church hall in McLaren Vale for a day of sewing up our scraps into wonderful creations! The day will cost $40 and morning and afternoon tea and lunch are provided! 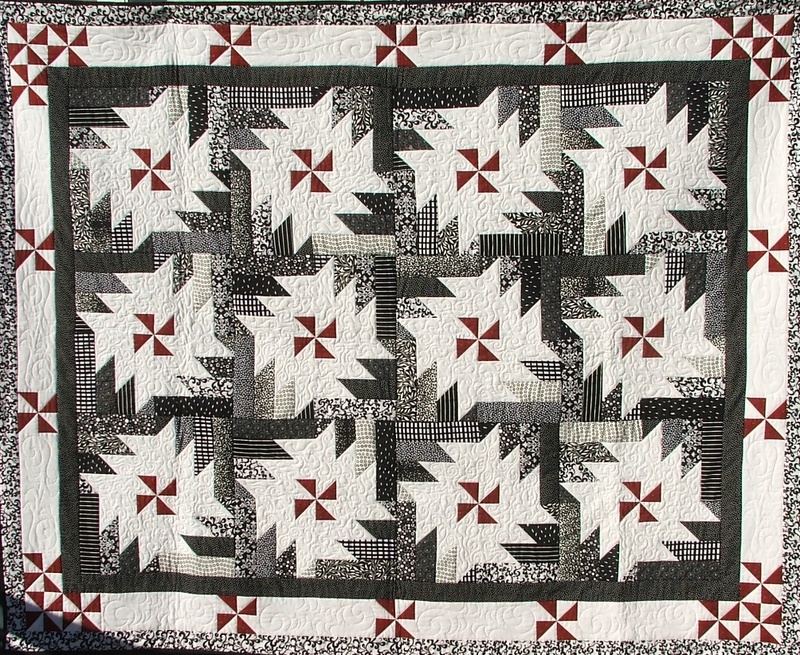 Several quilts and ideas will be demonstrated during the day. I have made a nifty little gift for you all to try. All participants will get a kit to make the little covered tape measure shown below. Isn't it cute? I received 10 blocks in a swap with the Repro-Lovers Yahoo group several years ago. These blocks were very well made by some great sewers. At the time I made a couple of extra blocks to take the number to 12. I made two more whole blocks and four half blocks to complete my top. A poison green from the 'Lucinda's Needle' range by Jo Morton made the perfect background setting.